On today's episode of 'Pushing Trends' KT Money and I (@Losing_Tickets) go over another 3-2 week in the SuperContest and all the trends coming out of Week 12. Then we breakdown the entire 16 games Week 13 slate. 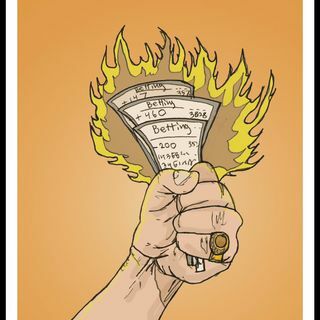 5 weeks in the regular season to go and we have all your gambling information right here!!! Please download and subscribe on any or all of our platforms, Apple Podcasts, Spreaker, Soundcloud and Amazon Alexa. If you like what you hear please share or leave a review! ... See More Thanks and enjoy!! !